If you’re following on Instagram you probably seen two things- 1. A sneak shot for todays post, and 2. the awesome time I had this past weekend at Crop and Create, AH-mazing weekend! Thanks for the best weekend in a long time, and a wave hello to all the new friends I met and old ones I was reunited with! Today I’m joining my friends at Xyron for a fun Pin-sipring challenge, cleverly called “Not Xyron, but should be”. Each of the designers got to choose a project found on Pinterest, that looked as if it really should be made with Xyron, and give it a new spin. End result? 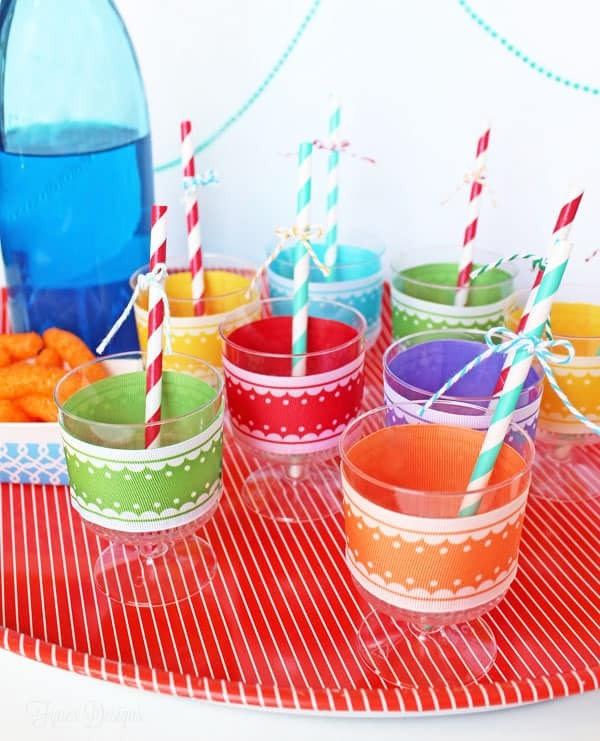 These super duper fun and fabulous decorated plastic cups! I chose the photo below originally from Craft and Creativity, cute eh?! So easy to re-create, but since I have such a ribbon fetish, I wanted to take the idea one step further. 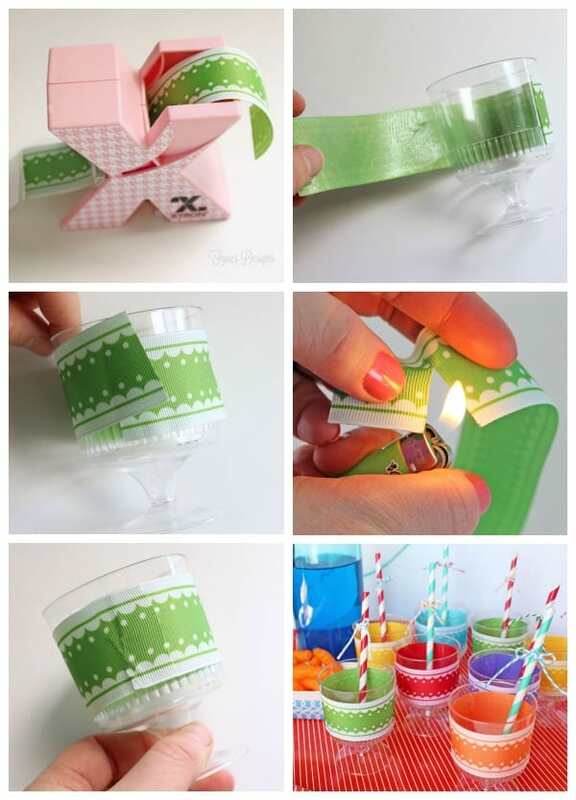 Wrap the now adhesive ribbon around the cup. When you’ve reached the end, make a snip in the ribbon a bit longer than half of the width. Use a lighter to singe the edges of the cut, to prevent fraying. Line the top and bottom edges of the ribbon up to meet and press in place. The slit you made will overlap and prevent a buckle in the ribbon. Kinda cute, hun?! This idea is perfect to use for kid’s parities! Adults use wine glass tags- kids can have their own color! Gone are the days of Sharpie on a solo! 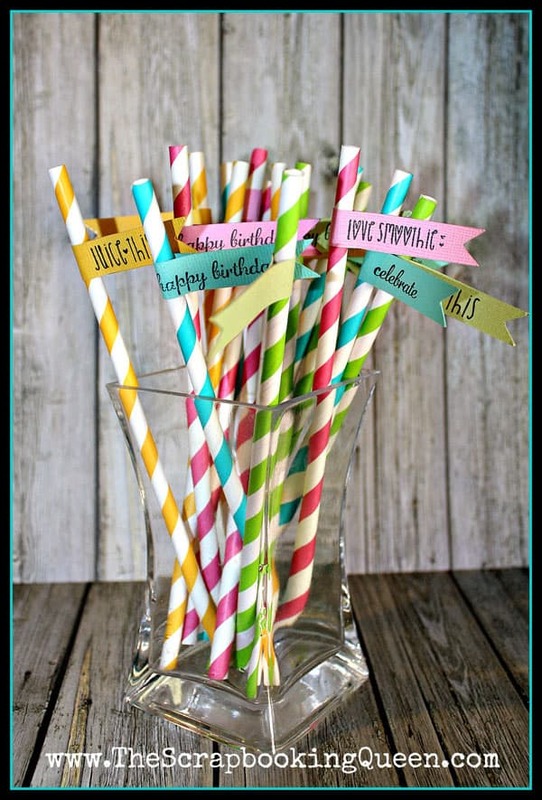 My design team pal Teresa made these ridiculously cute straws for her post, and they go together like peas and carrots! 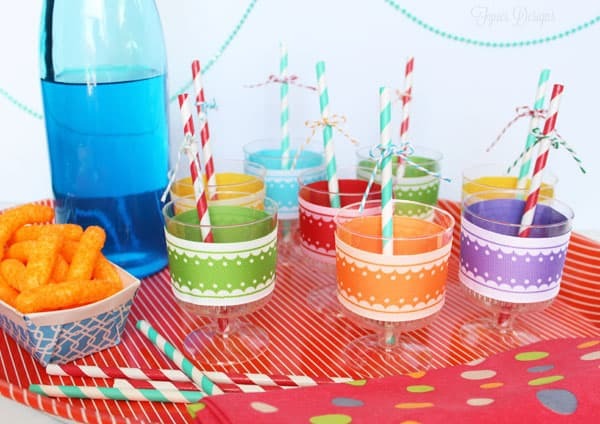 Teresa also sells the paper straws in her shop if you’re looking for some cute colors! 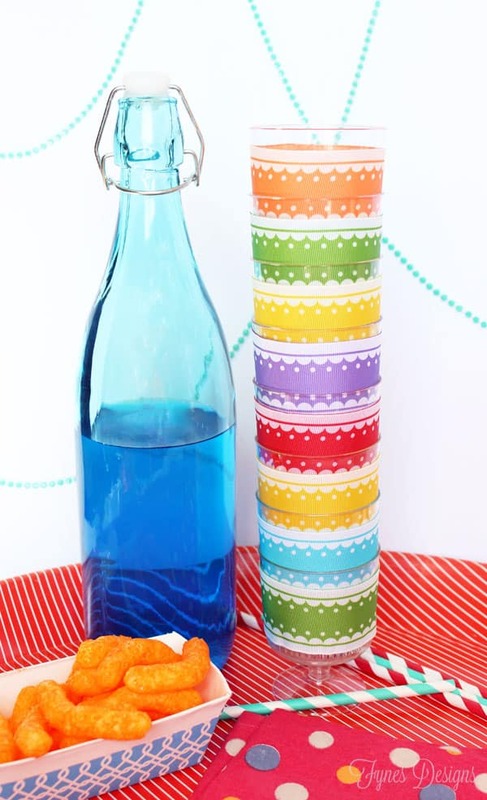 Fun and easy project for any party! 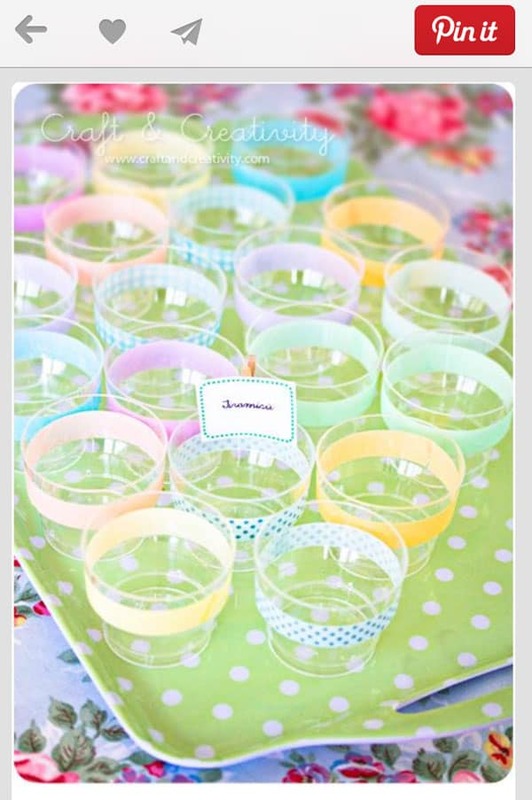 I think I’ll be putting this idea into action for our Easter party! Thanks for stopping by today, and be sure to check out the full line of amazing adhesives Xyron has to offer! Let’s connect, I’d love to follow you on Instagram! Fabulous idea. I may have to throw away my Sharpie for summer get-togethers!